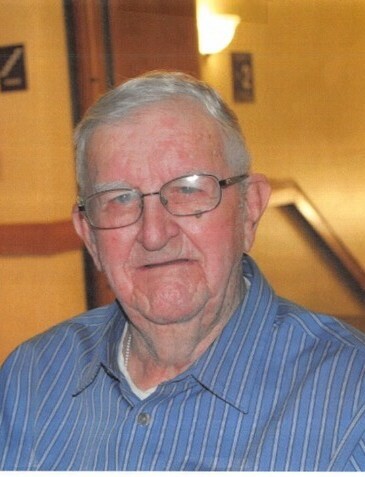 Elmer Paul Heetland, 98, of Iowa Falls, Iowa passed away Wednesday, October 3, 2018 at the Hansen Family Hospital, Iowa Falls. Funeral services for Elmer Heetland will be 11:00 Saturday October 6th at the Linn’s Funeral Home Chapel, 1521 Washington Ave. Iowa Falls. Time of visitation will be 1 hour prior to services at the Funeral Home. Burial will be at the Union Cemetery in Iowa Falls. Memorials may be directed to Ashbrook Assisted Living and Scenic Manor Nursing Home. Elmer Paul Heetland was born July 13, 1920, at Ackley, Iowa. The son of Paul and Florence (Geerdes) Heetland. He graduated Ackley Community Schools with the class of 1938. On July 5, 1941, he was married to Nellie Doolaard in Missouri. Elmer was a self employed farmer in rural Ackley, Iowa until retiring at the age of 81 in 2001. He attended Bethel Baptist Church, Iowa Falls and was a member of the Hardin County Farm Bureau. Elmer truly enjoyed raising crops and working with animals while farming. He was preceeded in death by his wife Nellie Heetland (2001); his parents Paul and Florence Heetland; 2 sisters: Pearl Meints Harms and Gladys Bakker; 2 brothers: Kenneth Heetland and James Heetland (infant).